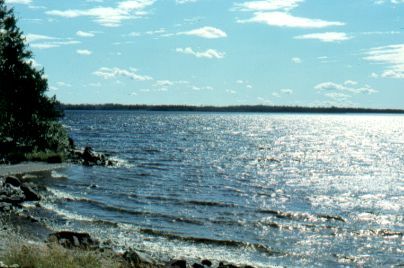 MacLeod Lake, east of Geraldton, Ontario. 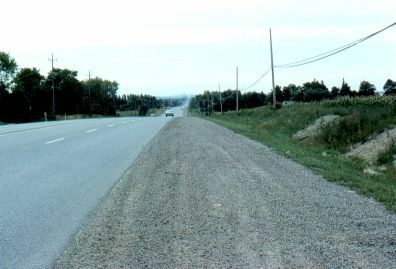 This is along Hwy 11. 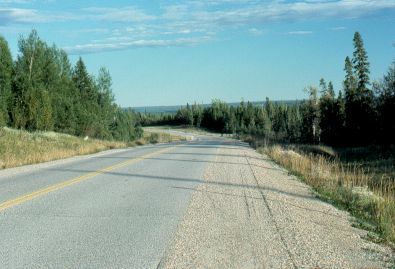 East of Klotz Lake, still along Hwy 11. Fairly typical scenery across this part of northern Ontario. 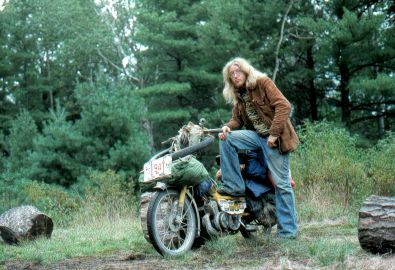 A picture of the moped loaded with my gear, on the last day of the trip, near Washago, Ontario. It looks a bit less new than when I started out! 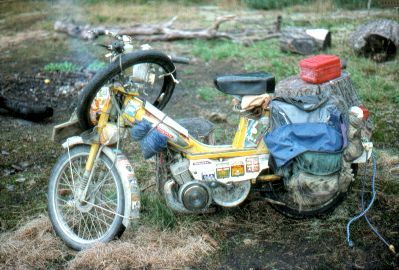 Unbelievably, I had only one mechanical problem during the whole trip, and that was solely due to negligence on my part. I neglected to lubricate an important part of the bike, which then failed. I was able to do a makeshift repair using a pop can that got me home. At my last campsite in the morning, near Washago. Ready to head for home? Not really. I was very reluctant to have this trip come to an end. First view of Toronto. The towers of downtown are just barely visible in the distance on the horizon. This is along Yonge Street near Oak Ridges. 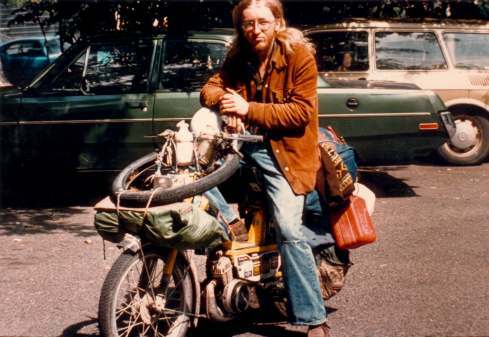 "After 11,500 miles by moped to Alaska, Yukon, and Northwest Territories, and 3 months on the road, what on Earth am I doing back here?" This trip remains in my memory as the best one I ever went on.